The backers of Istanbul's 2020 Olympic bid can seek to spin this all they want. The International Olympic Committee's senior leadership can make like this is all maybe just a passing threat. But what happened -- and is happening in Turkey -- is not normal. Protests make up the fabric of everyday democracy. But using water cannons and tear gas on thousands of your citizens, and making the front pages of newspapers all over the world -- that's not usual. And when it happens in the context of an Olympic bid, especially with just three weeks to go until you're due to tell your story to the 100 members of the IOC at an assembly in Lausanne, Switzerland, that presents an extraordinary -- if not unprecedented -- dilemma. Does the IOC want to take on this risk for seven years? How does the team from Istanbul go now to Lausanne in a few weeks and, in good faith, convince the IOC there's little to no risk? The unrest in Turkey comes just days after all three 2020 bids -- Istanbul, Madrid, Tokyo -- made presentations at the SportAccord convention in St. Petersburg, Russia, each claiming to be the safe choice in an uncertain world. The IOC will pick the 2020 city on Sept. 7 in a vote in an all-members assembly in Buenos Aires. 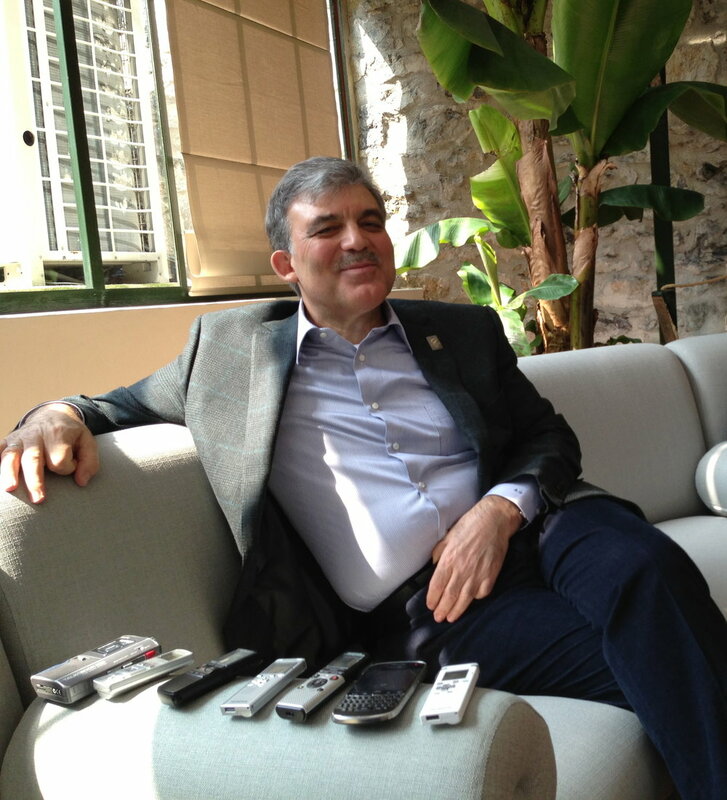 In St. Petersburg, Istanbul 2020 leader Hasan Arat reiterated one of the bid's tag lines, saying, "In the past, Turkey bid for the Games as an emerging nation. This time, Turkey is bidding as an emerged nation." For the IOC, security is -- as the current president, Jacques Rogge, is given to say -- priority Number One. This has been the case since the 1972 Munich Games, when Palestinian terrorists kidnapped and murdered 11 Israeli athletes and coaches. Since April's Boston Marathon bombings, security issues at high-profile sport events have taken on renewed urgency. Plans for the 2014 Sochi Games, now just months away, are being subjected to heightened scrutiny. It's against that backdrop that the situation in Istanbul and across Turkey continues to unfold. Monday's protests marked the fourth straight day of unrest in major Turkish cities, the situation escalating with the first reports of deaths at two demonstrations. A protestor in Ankara died after a vehicle slammed into a crowd there late Sunday, according to Associated Press, citing a medical official. And in the southern border town of Antakya, a 22-year-old man died; there were conflicting reports about the cause of his death. Tuesday saw the IOC leadership headed for New York, and the International Forum on Sport for Peace & Development, jointly sponsored by the United Nations. In Turkey, the protests moved into Day Five; in Ankara, the capital, hundreds of riot police backed by water cannons deployed around the office of prime minister Recep Tayyip Erdogan. Before leaving on an official visit Monday to Morocco, Algeria and Tunisia, Erdogan suggested the demonstrations were tied to "extremists" led by political opponents trying to overthrow his government. The IOC is used to protests. The peaceful kind come up all the time in Olympic bids. But widespread confrontation with police in an Olympic context -- that hasn't been seen since the Beijing torch relays in London, Paris and San Francisco in the spring of 2008. This is different. Beijing had won the Games seven years before. Istanbul is bidding. It's different twice over because, fair or not, these protests are arising in a country that has a Muslim majority. Indeed, it's a primary selling point of the Istanbul bid that going to Turkey in 2020 would make for the first Games in a nation with a Muslim majority. It makes for a fascinating connotative turn of language, incidentally, that the Istanbul team quite deliberately has throughout its bid used the word "Muslim," not "Islamic." But, of course, that is -- at their core -- what the protests in Istanbul are all about. The violence was originally sparked by government plans to build on an Istanbul city park. It broadened Friday into nationwide anti-government unrest that turns on deep-seated concerns that the Turkish government, led by Erdogan and his Justice and Development Party (AKP), is trying to impose more-conservative Islamic values on the officially secular country. Which in Turkey better -- or best -- reflects key values there right now? That community activists helped clean up a central Istanbul park after protests there? Or that the government last month tightened regulations on alcohol sales and use? Or that Erdogan has blamed the unrest on on what he called "lies" circulating on Twitter and other social networks: "There is this curse called Twitter. It's all lies … That thing called social media is the curse of society today." The Turkish mainstream media has provided scant coverage of the demonstrations. On Twitter, however, protestors have shared graphic evidence of wounded protestors. Bid organizers on Sunday issued a statement that said they were "monitoring the regrettable situation" in Istanbul "very carefully" and while buoyed by the "positive community spirit in helping to clean up and repair damage," the situation remains "fluid." The statement also says, "Despite these recent events, all sections of Turkey remain united in our dream to host our nation's first ever Olympic and Paralympic Games in 2020. The slogan for our Olympic bid is 'Bridge Together' and there is a common desire to unite in the Olympic spirit and show the world that we can work together for a better Turkey." No matter what, the IOC evaluation commission report, due to be made public June 25, won't mention a word about the unrest. The report, a culmination of visits earlier this year to all three cities, is already in the process of being printed. On Monday, Denis Oswald, a leading Swiss member of the IOC, speaking in a conference call at which he outlined his plans for his presidential candidacy, said of the situation in Turkey, "It's a beginning of a protest that can happen in any democratic country For the time being we'll see how it develops, how important this protest is. We have had that in many countries where we had Olympic Games. "I don't think it would necessarily affect the candidature. We are still three months away from the decision. It will depend if this continues and develops, but for the time being I don't think it's a real threat for the candidature." Germany's Thomas Bach, an IOC vice president and another presidential candidate, also said he didn't think the protests would be a factor in the bid race. He told the German wire service dpa, "It's not going to have any influence on the decision of the IOC members. All of them are experienced enough to realize that you are talking about a bid for the Olympic Games in seven years." Both Bach and Oswald are lawyers. One of the things they teach you in law school is a concept called an "excited utterance." It means an unplanned reaction to a startling event -- something that's said so spontaneously it's then considered so trustworthy to be an exception to the rule that bars hearsay from being admitted to evidence. After police had confronted tens of thousands of people in Istanbul's Taksim Square, here was mayor Kadir Topbaş in an interview: "As Istanbul's mayor going through such an event, the fact that the whole world watched saddens me. How will we explain it? With what claims will we host the 2020 Olympic Games?"